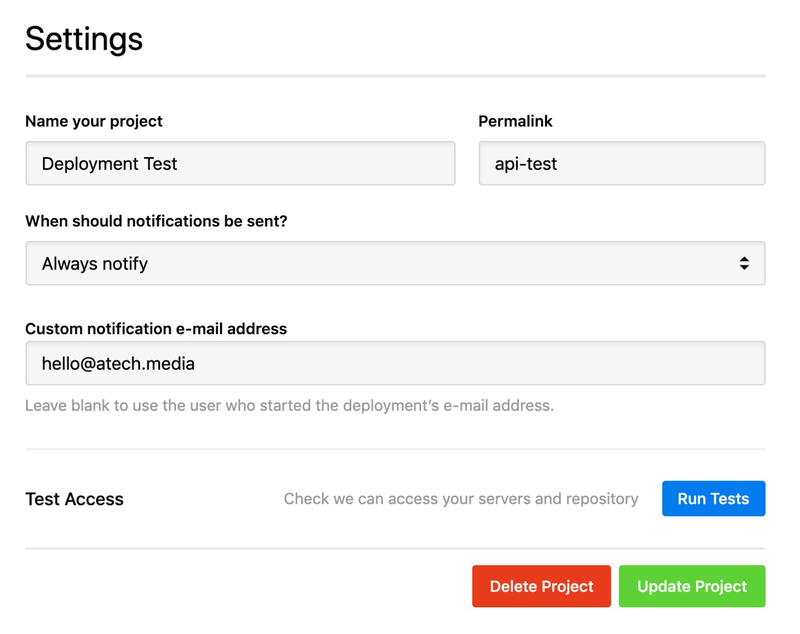 E-mail notifications can be set up deployments to inform you when it has completed. E-mail notifications can be set up project wide, or on a per-server basis and additional E-mail addresses can be added to the notification which is particularly useful if you're wanting to notify people that aren't users on your account. To enable E-mail notifications, head to any project in your account, then to the Settings tab on the left hand side. You can leave the Custom notification E-mail address field blank, or add additional E-mail addresses, comma separated. The notification options can be left as they are, or changed to any setting you wish to only apply to this particular server.